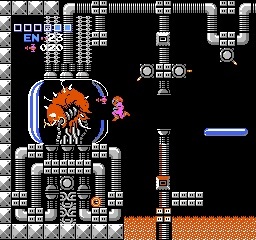 One of my favorite video games on the NES was Metroid. The maze-like environment that defied the video game convention of the time excited me as a player, and my dad as a viewer. 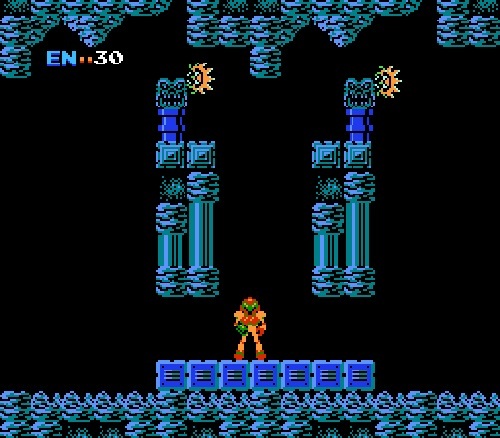 He enjoyed watching me explore these caverns as Samus Aran on my quest to destroy the Mother Brain. He was with me as I defeated Kraid and Ridley, and he was there cheering me on as I killed my first Metroid. Then one day I came face to face with the Mother Brain herself. I gave it my all, and plowed my missiles into her. Then perished a heroes death. But I wasn’t upset, because we finally reached the Mother Brain! My dad and I got so excited we decided to celebrate with a trip to Burger King at the mall for some quality father/son time. I did eventually beat the game but my father wasn’t home at the time. When I told him of my accomplishment he was a little saddened that he couldn’t be there with me. I immediately felt bad and realized that Metroid wasn’t just about me. From the first time I rolled into ball, all the way up to collecting my last energy tank, dad was there with me. And I denied him the ending he rightfully earned along with me. To this day I still feel a little guilty about that. Perhaps I need to revisit Metroid and have that father/son moment that’s been waiting for almost thirty years. One Response to "Metroid Memories"
I spent 5 hours trying to figure out where to go the first time I played Metroid. It was the first time I really wanted a map to figure out where I was going.